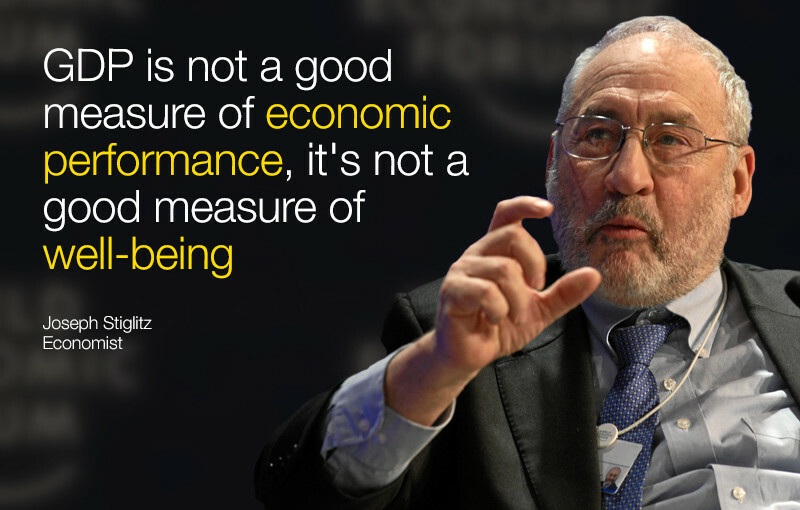 Three leading economists and academics at Davos agree: GDP is a poor way of assessing the health of our economies and we urgently need to find a new measure. Speaking in different sessions, IMF head Christine Lagarde, Nobel Prize-winning economist Joseph Stiglitz, and MIT professor Erik Brynjolfsson stressed that as the world changes, so too should the way we measure progress. A country’s GDP is an estimate of the total value of goods and services they produce. But even when the concept was first developed back in the late 1930s, the man behind it, Simon Kuznets, warned it was not a suitable measure of a country’s economic development: “He understood that GDP is not a welfare measure, it is not a measure of how well we are all doing. It counts the things that we’re buying and selling, but it’s quite possible for GDP to go in the opposite direction of welfare” Brynjolfsson told participants. Today, with the changes brought on by the Fourth Industrial Revolution, the measure is even less of a reflection of the things that really matter: “We need a new model for growth. Just as we’re reinventing business, we need to reinvent the way we measure the economy,” the MIT professor added. Speaking in another session, Lagarde made almost exactly the same argument: “We have to go back to GDP, the calculation of productivity, the value of things – in order to assess, and probably change, the way we look at the economy,” she said. It builds on a point made by Stiglitz earlier in the week: “GDP in the US has gone up every year except 2009, but most Americans are worse off than they were a third of a century ago. The benefits have gone to the very top. At the bottom, real wages adjusted for today are lower than they were 60 years ago. So this is an economic system that is not working for most people,” he said. To find out more please visit our Beyond GDP series page. The Annual Meeting took place in Davos from 20 to 23 January, under the theme “Mastering the Fourth Industrial Revolution”.